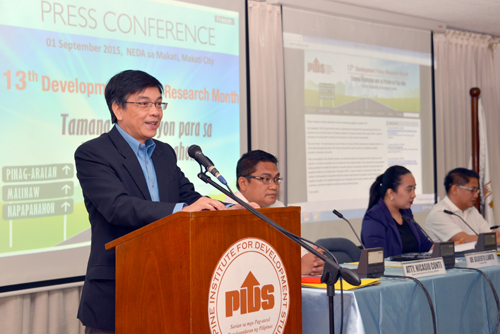 This September, PIDS will again lead the nation in celebrating the Development Policy Research Month (DPRM). This nationwide event, which state think tank Philippine Institute for Development Studies (PIDS) started in 2003, is aimed at promoting and drawing public awareness on the importance of policy research in nation-building. This year’s theme, "Tamang Regulasyon para sa Patuloy na Pag-ahon (Effective regulations for Sustainable Growth)”, is a call for improving regulatory quality in the country to ensure that our policies and laws are facilitating competition, innovation, productivity, and growth. There are regulations in the electricity, transport, and water sectors that are not responsive to both economic and social objectives, and business regulations that are detrimental to the investment climate. These issues stem from poor regulatory vetting processes that neglect the importance of research evidence and systematic assessment of proposed policies and regulations before they are implemented. Through the DPRM, we hope to influence our policymakers to take action in building a formal regulatory management system that adopts explicit standards for regulatory quality and ensures the integrity and quality of new regulations through the use of regulatory impact analysis, systematic public consultation procedures, and effective regulatory coordination among concerned agencies. 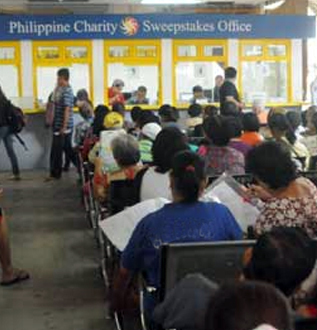 TUGUEGARAO CITY--State think tank Philippine Institute for Development Studies (PIDS) stressed the need to improve the quality of policies and regulations in the Philippines to further boost economic growth and be able to compete with ASEAN neighbors in terms of attracting investments. In a press conference in Tuguegarao City organized by the PIDS in partnership with the Philippine Information Agency, PIDS Senior Research Fellow Marife Ballesteros, highlighted the need to look at the existing regulations issued by the national and local government and assess whether these regulations are still effective and relevant. She added that having policies and regulations that are unclear undermine business confidence and competitiveness, erodes public trust in government, and encourages corruption in public institutions and public processes. 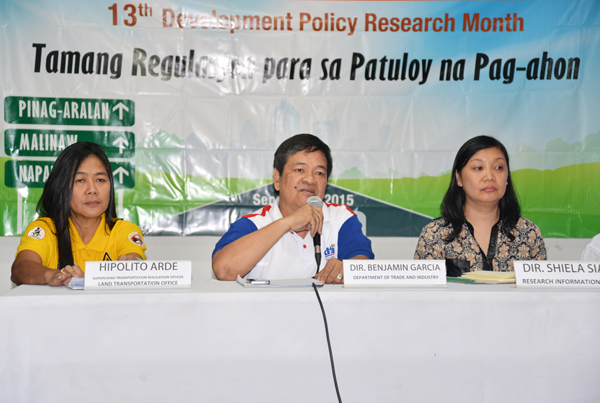 LAOAG CITY - The Development Policy Research Month (DPRM) rolled into the city of Laoag on September 16. With the help of the Philippine Information Agency-Region 1 and the Northwestern University, state think tank Philippine Institute for Development Studies (PIDS) convened academe and local government officials, and university students in a forum that tackled this years theme DPRM, "Tamang Regulasyon para sa Patuloy na Pag-Ahon". Dr. Sheila Siar, director of the Research Information Department of PIDS, shared the purpose of the 13th DPRM celebration and the importance of the theme. The diverse panel of discussants included Mr. Benjamin Garcia, provincial director of the Department of Trade and Industry (DTI), Ms. Susan Gagarin, assistant chief of the Provincial Land Transportation Office, and Mr. Ronald John P Gabriel, officer-in- charge of the Licensing Division Office at Batac City. 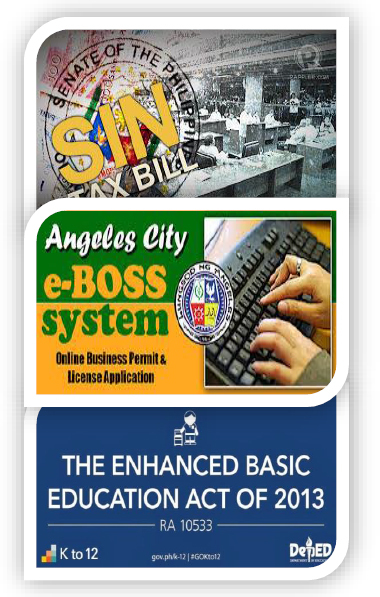 CAGAYAN DE ORO CITY— Stronger cooperation and coordination among various regulatory bodies can be a great help in achieving competitiveness. 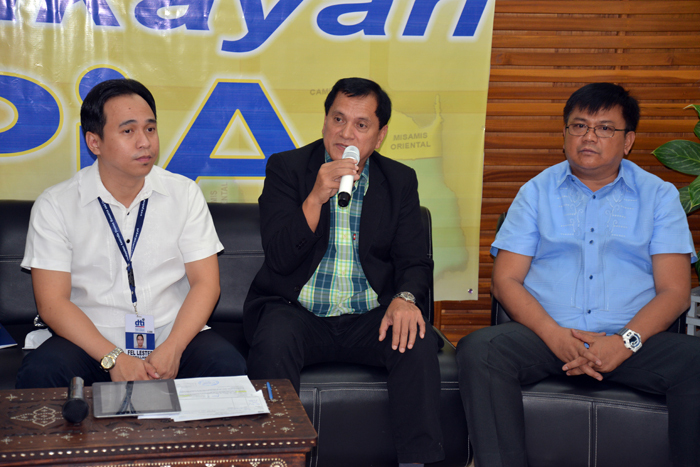 This was the consensus of local regulators, local government officials, and media who attended the press conference on the Development Policy Research Month (DPRM) in Cagayan De Oro City last September 9. Speaking at the weekly Kapihan of the Philippine Information Agency (PIA) in Cagayan De Oro City, Dr. Danilo Israel, senior fellow at state think-tank Philippine Institute for Development Studies, emphasized the need for regulators to work together to address issues and promote ease of doing business. He also cited the need for a framework to review and study all these regulations so that flaws can be identified and proper solutions can be introduced. Mindanao is set to shake off its troubled past for a more sustainable and inclusive future, driven by effective policies and strong governance. The region fortified its commitment to development through the newly forged partnership between the Mindanao Development Authority (MinDA) and state think tank Philippine Institute for Development Studies (PIDS). Capping off the first week of the 13th Development Policy Research Month, an inaugural development policy research forum—the first of its kind in Mindanao—was held last September 4 to mark the PIDS-MinDA institutional partnership. The full-day event focused on the policy research opportunities and challenges of the theme, “Advancing Mindanao: Toward Sustainable Economic Development and Balanced Ecosystems”. PIDS President Dr. Gilberto Llanto and MinDA Executive Director Undersecretary Janet Lopoz signed a memorandum of understanding on behalf of their institutes, then delivered their respective remarks on the significance and the potential of the partnership. They were joined anew in a mid-day press conference together with Mindanao leaders from various sectors. 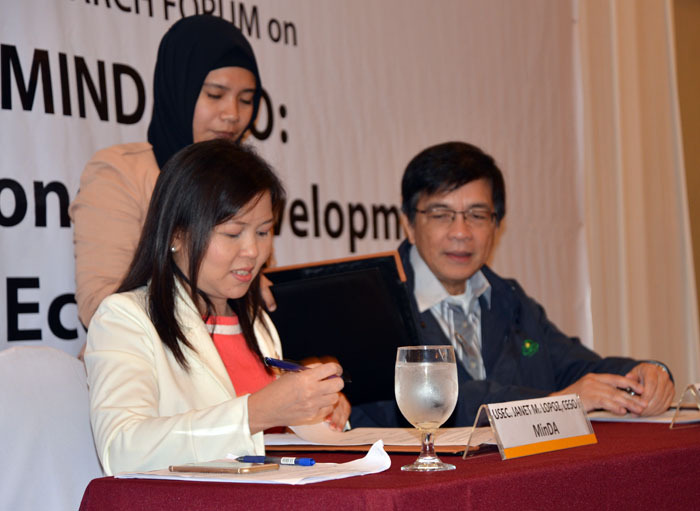 DAVAO CITY--State think tank Philippine Institute for Development Studies (PIDS) and Mindanao Development Authority (MinDA) reinforced partnership through the signing of a memorandum of understanding (MOU) during the 1st Mindanao Policy Research Forum on September 4, 2015, at the Waterfront Insular Hotel in Davao City. The forum, which centered on the theme “Advance Mindanao: Toward Sustainable Economic Development and Balanced Ecosystems”, brought together more than 100 participants from the government, academe, business, and civil society sectors, including the media, in Mindanao to underscore the potentials of policy research in pursuing development goals. In her keynote message, Undersecretary Janet Lopoz, executive director of MinDA, said that the inaugural forum formalizes their partnership with PIDS. “[The partnership] is significant in bridging the gap in our policy research—or the gap that persists between the creation of information and their application to policymaking,” she added. 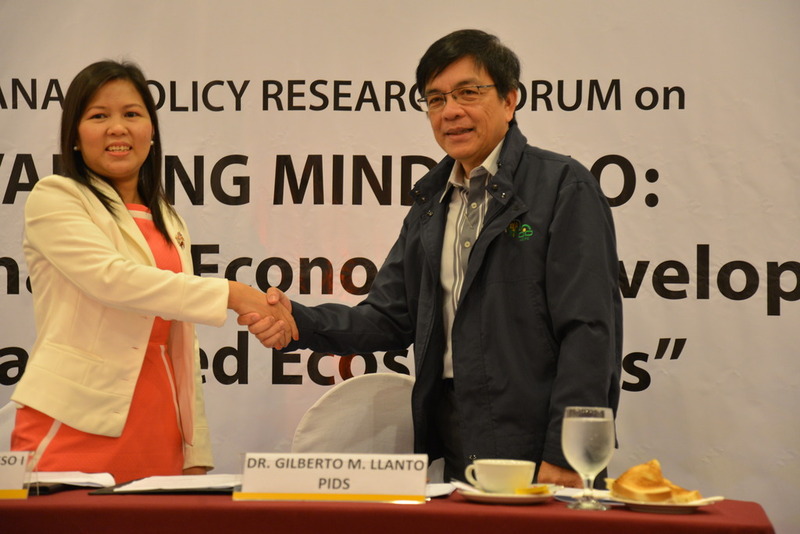 DAVAO CITY--State think tank Philippine Institute for Development Studies (PIDS) and Davao-based Mindanao Development Authority (MinDA) formalized their new development partnership on September 4, 2015, during the 1st Mindanao Policy Research Forum held at the Waterfront Insular Davao. On behalf of their respective institutions, PIDS President Dr. Gilberto Llanto and MinDA Executive Director Undersecretary Janet Lopoz agreed to join forces in promoting the conduct of policy research and knowledge-sharing activities in support of Mindanao’s development needs. The memorandum of understanding signed by Llanto and Lopoz also includes the establishment of the Mindanao Knowledge Center (MKC), a knowledge hub of socioeconomic studies conducted by higher education institutions in Mindanao. The MKC is envisioned to serve as a knowledge resource for local policymakers in crafting policies and programs that will enhance Mindanao’s competitiveness under the ASEAN Economic Community and help achieve inclusive and sustainable growth for Mindanaoans. The Philippine Institute for Development Studies kicked off the month-long celebration of the Development Policy Research Month at a press conference on September 1, 2015. An annual national advocacy promoting evidence-based policy research, the DPRM focused its 13th year on the pressing theme of Effective Regulations for Sustainable Growth. The speakers demonstrated the timeliness of the topic, presenting successes and difficulties in regulatory reform within their regulatory jurisdictions. Their presentations supported Llanto’s call for collaborative efforts to establish a more competitive and more coherent regulatory environment, and emphasized that a regulatory management system (RMS) is an essential strategic tool for sustainable and inclusive growth. 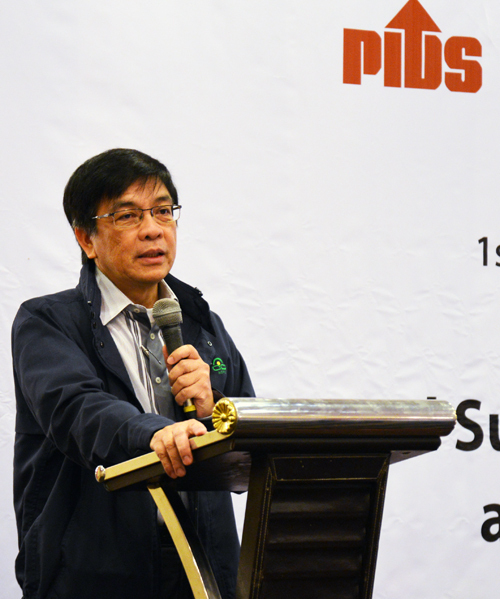 State think thank Philippine Institute for Development Studies (PIDS) and Mindanao Development Authority (MinDA) are set to begin a new development partnership this September, a most opportune time as the Philippine bureaucracy celebrates the 13th Development Policy Research Month (DPRM). On September 4, PIDS President Dr. Gilberto Llanto and MinDA Chairperson Undersecretary Lualhati Antonino will sign an agreement that will promote policy research and knowledge sharing in support of Mindanao’s development needs, facilitate access to policy studies and materials produced by higher education institutions (HEIs) in Mindanao, and establish the Mindanao Knowledge Research and Policy Center (MKRPC). 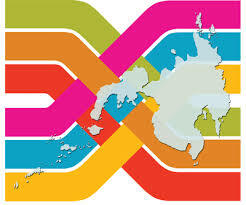 “This partnership has a lot of potential in creating synergies for the development of Mindanao. Given the Institute’s limited financial, human, and technical resources, we cannot cover the entire Philippines to effectively carry out our mandate. We need to multiply ourselves. We see MinDA as an excellent partner in promoting evidence-based policymaking at the local level and in increasing the relevance of our policy studies,” says Llanto.